For over 100 years now, Malta has been home to some of the most active, industrious, and adventurous people in Montana. Built alongside the tracks of the Great Northern Railway, the town’s character and demeanor have been formed by the frontier life. The first cowboys of Malta formed the posses that chased the train robber Kid Curry through the Missouri River badlands. The new Mustangs and M-ettes have been conquering Class B competition for decades now. Malta is an active Montana community. Malta Trails is one local organization that is working to make Malta more active—and more interactive. On my first photographing visit to Malta, I discovered an abandoned bridge on the edge of town. Now anybody can discover this bridge, as the site has been worked into the growing Malta Trails network. 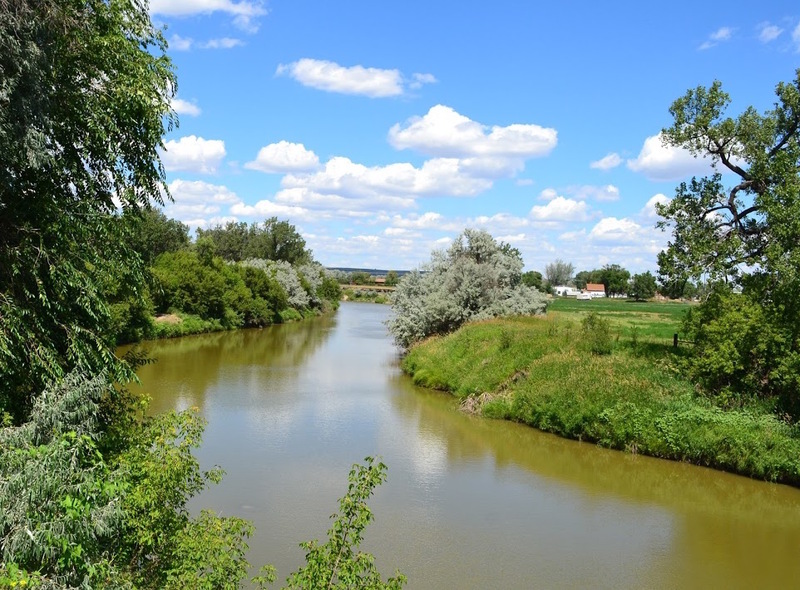 The trail begins for me at the Great Plains Dinosaur Museum, then follows the Milk River, weaving into the thick vegetation and winding its way to the baseball fields at Trafton Park. That old abandoned bridge has a new sign on it: Trafton Trail. A new bridge is getting built in town, as the long overdue addition of a pedestrian bridge alongside the highway’s Milk River crossing is finally being built. This bridge will hopefully lead to additional trail sections on the west side of the river and at the very least will make our kids’ bike ride trips to Westside much safer. As the season turns from football to basketball, holidays take center stage. There’s a quick turnaround from Thanksgiving to Malta’s Festival of Trees. The Phillips County Museum puts on this fundraiser the first week of December. Local people and organizations put together beautiful Christmas trees and wreaths to vote and bid on, all while eating Christmas snacks. Staying active in a community isn’t all hiking! Visit Malta and see a new side of Montana.